In this post I’ll be talking about inspiration and how travel plays its part in inspiring me. I travel to be inspired. I always hope to experience something that would inspire me to be more in life. I keep my mind open to everything and soak in as much as I can. I let the road guide me and accept whatever she throws at me. I hope to find something underneath a rock or within the archways of a monument. Floating in the currents of a green sea or gazing at a mountain peak draped in the light of the sun. Everything can inspire you, if you just have an open mind. Travel spells inspiration. I try to look at things from a different perspective and that helps me understand and respect them more. We all want to be awed every single day of our lives by something or the other and travel does that. It always throws something new in your path. And it could be absolutely anything. It could be something that could woo you or something that could test you as a person. There is so much that traveling can do for you. We can never find the time to notice the small things in life. We end up ignoring the finer things. But travel gives us the space and solitude that lets us notice things, which otherwise go unnoticed in other hectic city lives. Even the small things that we overlook seem to make so much sense. Traveling lets your mind breathe. You can find art everywhere. There is music in the coliseum, in the breeze, within the walls of a new city. Every landscape is a painting. Every person you meet is a set of new stories. The feel of the grass against your feet can stir up a certain notion or a set of tunes in your mind. And if you are carrying a camera, which almost everybody does there is so much out there to capture (nature, different cultures, architecture, landscapes etc.). So many tiny little minute details that we miss while being caught up in the routine of everyday life. 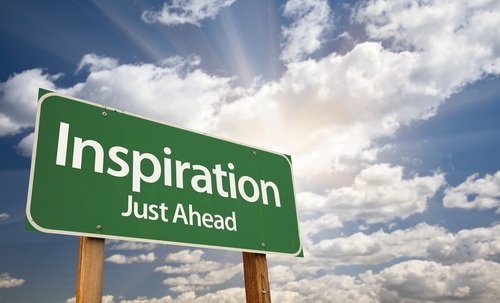 Each road you travel through is filled with inspiration and is waiting for you to tap into it. So until next time, travel and be inspired.